Adam Craig Band | Book Adam Craig Band , Hire Adam Craig Band | Live Country and Rock Music | Book Today! 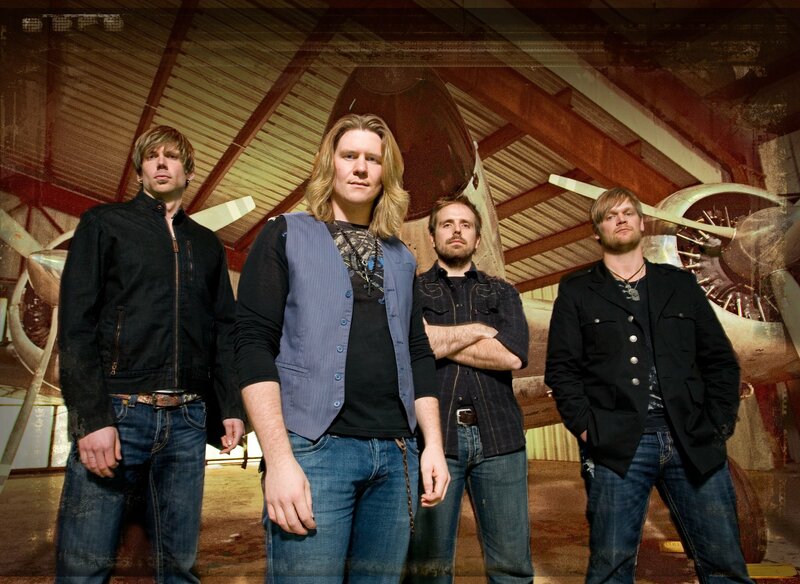 The Adam Craig Band has represented hard work, excitement, and passion on record and on stage since forming in 2006. Their determination and talent brought them to national prominence under the name TelluRide over the last few years, and the recent name change and the circumstances surrounding it has only strengthened their resolve to take their music to an even larger audience. Lawsuits over the band's name prompted a transition to the Adam Craig Band. And that's the only aspect of the band that has changed. The four-man band's brand of country music, rooted in harmonies, musicianship, and high-energy stage shows has only improved with the adversity they have been dealt. "Dealing with two law suits involving our name has been a distraction for several months." said lead singer, Adam Craig. "Fighting them would have cost more time and money and we felt the best thing for the band was to change our name and focus on our music. We're the same guys, and the same music, just a new name. Many of our fans knew we were contemplating this change and we appreciate their loyalty. We can't wait for them to hear our new songs." Craig is also becoming known for writing songs for other artists including "Church Pew or Bar Stool" for Jason Aldean and "Fast Lane" co-written with Josh Thompson. The band gained critical and fan acclaim with their debut album, Four Square Miles, a collection of 12 songs that included the nationally-charted singles "Pencil Marks" and "Stay." The album not only showcased the band's vocal harmonies but also the skilled musicianship of each member. Earlier this year, the guys hooked up with acclaimed producer Josh Leo, who has written songs and produced albums for the likes of Alabama, the Nitty Gritty Dirt Band, Restless Heart, Lynyrd Skynyrd, Reba McEntire, LeAnn Rimes and others. The first Josh Leo-produced single, "Nothin' Wrong" for the Adam Craig Band is now on radio. Ultimately, the Adam Craig Band knows that hard work and dedication to making and performing great music brings success. They've earned their successes one show and one song at a time. They love to play, they love to write, and they love to perform for fans. Most importantly, they love to be a part of a very new and unique brand of country music. Their infectious harmonies, catchy lyrics and driving grooves already have country music fans singing out loud. And that makes quite a sound - the sound of a band ready to make history. For booking information on the Adam Craig Band or to book or hire this band for your wedding reception, college event, corporate function or concert, click on the Request Booking Information tab below.